A 100% Custom Device at one low price! Made from your cast or scan, our braces are an excellent choice for non operative management of numerous pathologies that require stabilization and contro of the rear, mid or forefoot. Unlike other labs, we vacuum form high quality, orthotic grade polypropylene to create a supportive inner structure. 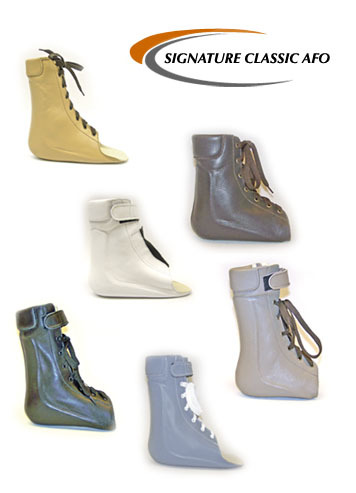 We also offer additional padding, heel and forefoot posts, met pads, sulcus or full foot extensions at no extra charge. The price you see is the price we charge. The Signature Dynamic is designed to meet the needs of patients that do not require complete control in the saggital plane. Polypropylene shell is 100% custom molded to the patient model (no prefabricated parts!). By utilizing Tamarack™ Joints, these braces provide fluid motion without any moving parts to wear out! 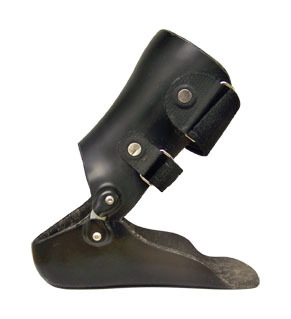 Like our other brace products, the price you see is the price we charge! We will not charge for additional padding, heel or forefoot posts, met pads, or Sulcus/Full Foot extensions!